Recently we launched Online Join and Renew version 1.8, which included the ability to create promo codes. 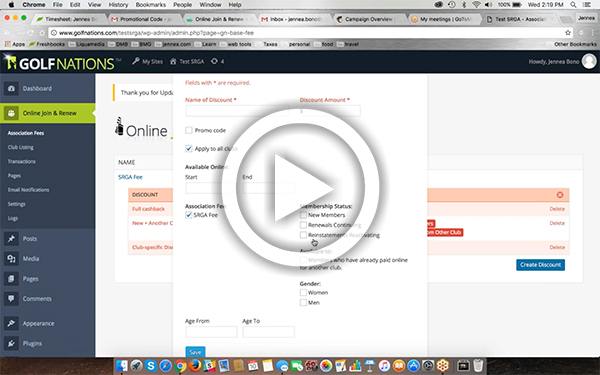 To help you start using this new feature, we’ve created a short video that walks you through the process of setting up a promo code. Please note, you can only use text for a promo code (for example GOLF) once in your Golf Nations admin panel. Once text is used as a promo code, the system will not allow you to set up any other promo codes using that same text.